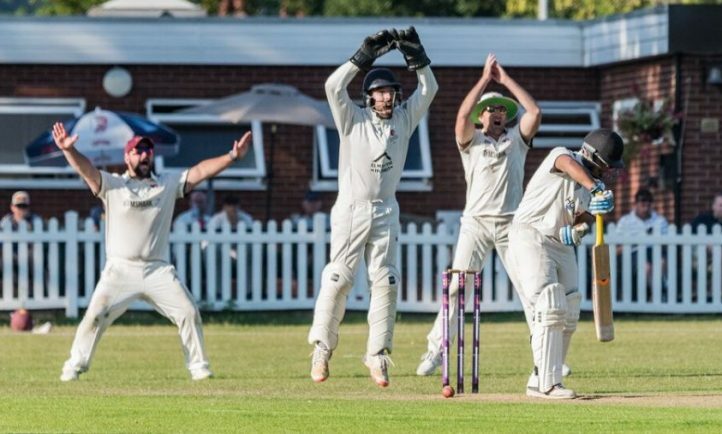 SKIPPER Mark Evenson was left pleased with Bromsgrove’s record in the win/lose/draw format and hopes the confidence built in those games will push them towards promotion from Birmingham League Division One. The Boars rounded off the 55-over format with a winning draw over relegation battlers Himley last Saturday. After losing Gregg Chinn without a run being scored, Jayden Levitt (57) got Bromsgrove moving with cameos from Ryan Pedley (45), Deon Patel (34) and Jack Taylor (33) guiding them to 232-8 from their allotted 55 overs. In reply Himley were staring down the barrel of defeat at 79-7 but some late resistance from Arunveer Bhogal (43) helped the visitors settle for a losing draw, finishing on 147-8. It means the St Godwald’s Park side finished with four wins, two winning draws, one losing draw, three defeats and one abandonment from their 11 games in the format. “Historically we know the win/lose/draw stuff is not our strong point,” said Evenson. “Over the last few seasons this format of the game has been an area we wanted to improve. “We wanted to become harder to beat and I think we can be pleased with how we have performed this season because we turned winning draws into wins. Seventh-placed Bromsgrove are just 11 points adrift of the promotion spots and they will hope to close the gap when they take on Halesowen on Saturday. The game is expected to have a bit of extra spice to it with former Bromsgrove players Alexei Kervezee and Charles Hartley among the Black Country ranks. “Unfortunately I missed the previous game against them when we lost and so did Aaron Thomason and Gareth Williams,” said Evenson. “We had a second string team out back then so this weekend could be interesting. “It’s always difficult when you come across guys who used to play for Bromsgrove, like Alexei and Charles Hartley, as you’ve known them for a long time so it will be nice to get one over on them this weekend.